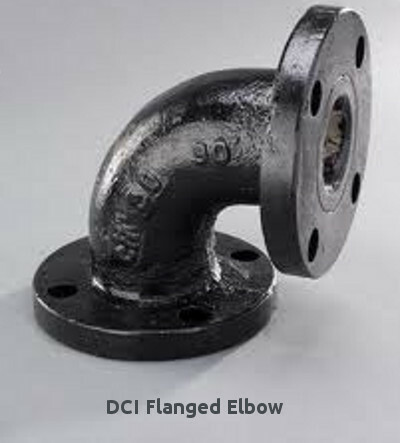 Pipes are supplied with metallic zinc coating and finished with a layer of bituminous quoting in accordance with ISO 8179:1995 Part–1. 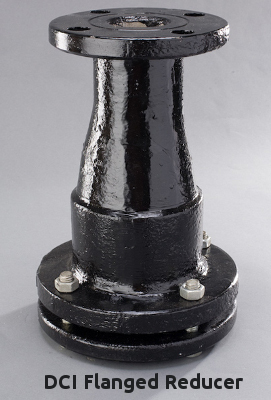 They have internal cement mortar lining as per ISO 4179. 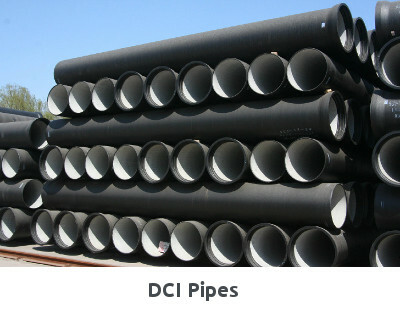 Ductile Iron pipes are supplied in std length of 5.5 – 6 Mtr length and in conformance with ISO 2531:1998 or BS EN 545:2002 standards. 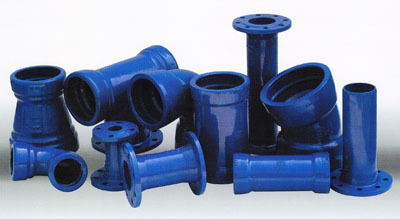 Pipes are available in sizes ranging from 90mm–1000mm. 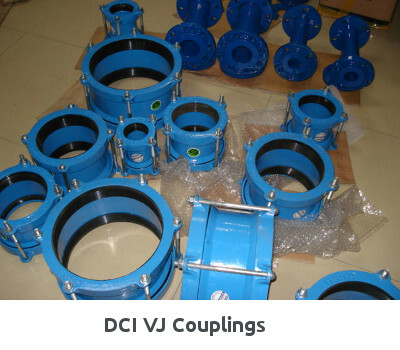 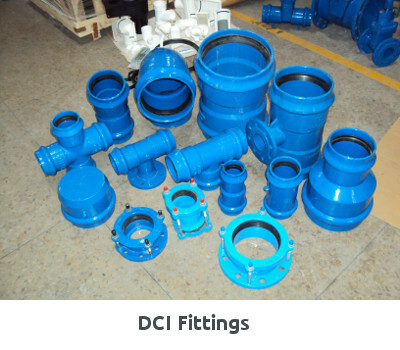 Fittings are supplied with internal cement mortar lining. 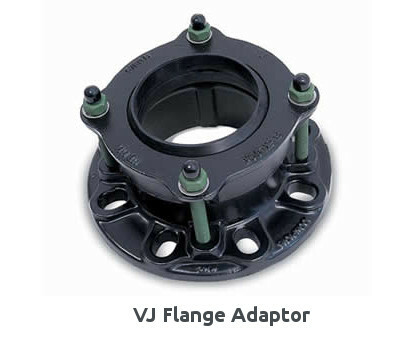 In accordance to BS EN 545:2002 and ISO 2531:1998.